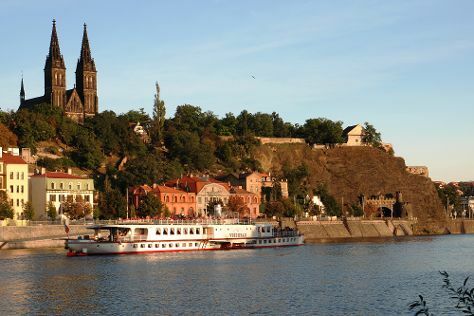 You'll explore the less-touristy side of things at Pilsner Urquell Brewery and Vyšehrad. Get out of town with these interesting Prague side-trips: Pisek Stone Bridge (in Pisek), Kutna Hora (Ossuary / The Cemetery Church & Cathedral of St. Barbara) and Terezin Memorial (in Terezin). There's lots more to do: test your problem-solving skills at popular escape rooms, examine the collection at Lobkowicz Palace, admire the striking features of St. Nicholas Church, and enjoy breathtaking views from Petrin Tower (Rozhledna). To see traveler tips, more things to do, other places to visit, and more tourist information, go to the Prague trip planner. If you are flying in from Canada, the closest major airports are Václav Havel Airport Prague, Karlovy Vary International Airport and Brno-Tuřany Airport. In April, plan for daily highs up to 18°C, and evening lows to 6°C. Cap off your sightseeing on the 12th (Wed) early enough to travel back home.